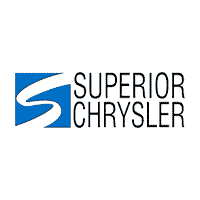 Job Opportunities | Superior Chrysler Center in Superior, WI " "
If you are looking to start or advance your career in sales, here’s the opportunity you’ve been looking for. We are looking for a Sales Professional to join our sales team here at Superior Chrysler Center in Superior, WI! We are a full-line Chrysler, Dodge, Jeep & Ram dealer with a parts & service department and body shop. We have on-the-spot financing with a guaranteed credit program as well as a limited lifetime warranty program offered to our customers at no charge on select new & used vehicles. We have the right tools in place and are looking for the right individual to come work with us! Successful automotive sales professionals have come from a variety of backgrounds. While we would be happy to talk to a seasoned automotive sales professional, we are particularly interested in talking to entry level, coachable, sales candidates. The ideal candidate has a general sales background of some sort, (electronics, appliances, real estate, B2B, marketing, etc.) a hard working professional looking to make a career change, or a recent college graduate looking to pursue a career in sales. A willingness to grow as a strong closer is a must! We are seeking an individual who has a minimum of 5 years Body Shop experience, is hard working is self-starting and excels working independently or alone. Able to do the bodywork, as well as manage and assist co-workers. Address any customer issues or complaints to achieve timely and appropriate resolution. This is an exceptional opportunity to join a successful company. This position includes excellent pay. We offer benefits such as: health, dental, life insurance.